Children’s Day in Kościelisko Commune, plenty of attractions and competitions for children, performances of local ensembles, tasting regional meals on the open-air stage in Kościelisko. Organized by the Regional Culture Centre in Kościelisko. Partnered by OSP Kościelisko (Voluntary Fire Brigade). 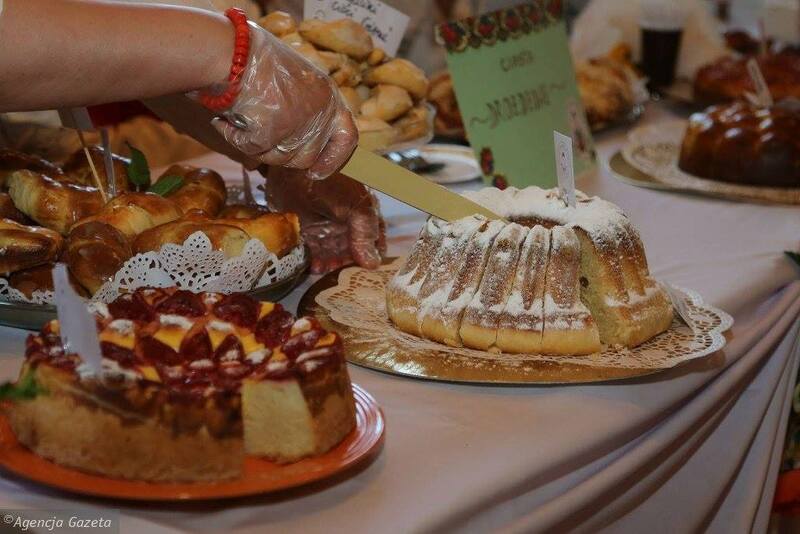 June/July – the competition for the best home made cake called ‘Góralskie Słodkości’ in the Folk House in Kościelisko. Organized by the Rural Women's Circle in Kościelisko. Nordic Walking. Organized by the Commune of Kościelisko, Tourism Development Association in Kościelisko Commune. Witowiańsko Watra – the church service in the shrine in Płazówka, the festive horse parade to the firehouse, local ensembles' performances, competitions, a dancing party. Organized by Podhale Association, Witów branch, OSP Witów, the Regional Culture Centre. Co-organized by Tatra Agency of Promotion and Culture Development. July – August: Summer in Koscielisko. The series of culture and sports events plus artistic workshops for everyone. Organized by the Regional Culture Centre. Co-organized by OSP Kościelisko. July-August: Summer with the Regional Culture Centre – the series of holiday thematic workshops in Kościelisko Commune. Organized by the Regional Culture Centre in Kościelisko. Street Market in Kościelisko Commune. Organized by Tatra Economic and Tourism Centre. International Exhibition of Purebred Dogs. Organized by the Polish Kennel Club, Zakopane branch. Święto Lasu/Forest Festival – Watra Tatrzańska. The festive fire starting in Siwa Clearing in the Chochołowska Valley, forest and wood processing competitions. Organized by The Association of 8 Entitled Villages in Witów, Tatra Agency of Promotion and Culture Development. Co-organized by Kościelisko Commune and Nowy Targ Forest District. The competition for a herb bouquet in Kościelisko Parish. Organized by the Rural Women's Circle in Kościelisko.